LAKE BUENA VISTA, Fla. - You'll be singing "Be Our Guest" over and over again when visiting the newest hangout spot at Walt Disney World. 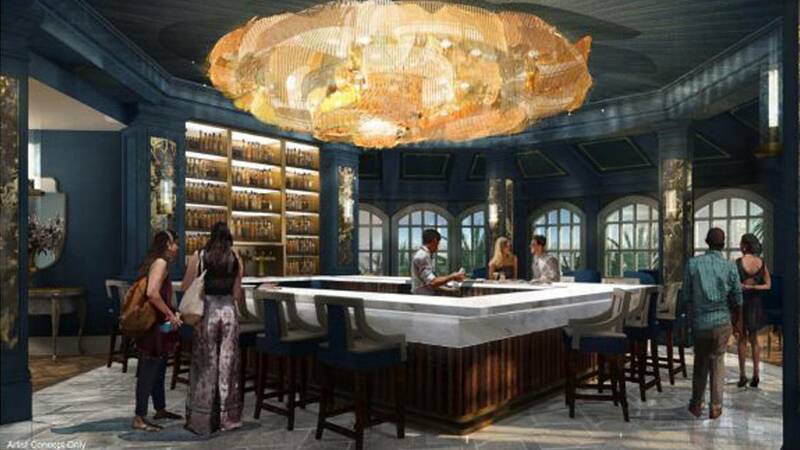 The resort announced plans for a new "Beauty and the Beast" themed bar and lounge at the Grand Floridian Hotel. With four separate spaces designed and inspired by the story's Bell and Beast characters, the new location is scheduled to open this fall. The Signature Bar where the "glow from the light of a magnificent gold chandelier that takes its inspiration from Belle’s flowing ball gown, with subtle nods to the Beast’s magical rose." The Formal Library "showcases classical baroque designs and French furnishings inspired by Belle, with hints of the Beast’s friends." The Garden Room will be "a whimsical space that draws its inspiration from the enchanted forest surrounding Beast’s castle." The Outdoor Patio will "evoke the romance of Beast’s garden terrace." Walt Disney World officials says the "Beauty and the Beast" bar and lounge will be the place where "you can put our service to the test and share a tale as old as time."